Throughout most of the 20th Century, the field of psychology was largely limited to diagnosing and treating emotional and psychological problems. Over the past few decades however, the sub-field of organizational psychology has emerged and proved its effectiveness and applicability across a variety of sectors. Organizational psychology is the psychology of the workplace, and deals with employee management and training, supervision of personnel, resource management, internal communications, counseling, labor relations and employee retention. At many companies, organization psychologists use special psychometric and intelligence tests to hire new employees. The master’s degree in organizational psychology is a postgraduate degree which is offered by the psychology and sociology departments of many universities all over the country. You can only apply for a master’s degree program if you have previously completed a bachelor’s degree, preferably in a related field of psychology. A master’s degrees in organizational psychology will give you in-depth knowledge of the discipline and help you professionally advance in the field. Submitting all of the required documents before the deadline date is recommended in this case. Internship track—this track gives interested students to earn some elective course hours with a practicum course. This is for students who wish to obtain clinical experience in an organizational psychology context. Capstone track—students employed during the course of the degree may choose a capstone course to implement what they’ve learnt at work. Students also learn about psychometric analysis, and learn how to develop intelligence and aptitude tests for potential employees. The research project is completed under the supervision of a professor, and students must deliver a public dissertation before they are awarded the degree. The master’s program can be completed online or on-campus. The online degree option will be especially beneficial to students who are employed full-time or have responsibilities at home. 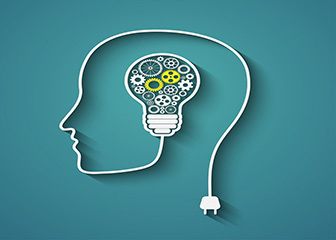 Throughout the world, companies hire organizational psychologists to implement effective techniques that will ensure an increase in productivity and profits. According to O*NET Online, employment opportunities for related occupations such as Industrial-Organizational Psychologists will increase by up to 22% from 2012 to 2022. Industrial-Organizational psychologists earned a median annual wage of $80,330 in 2013. Q:Is a Master in Organizational Psychology offered online? A:Yes, a number of online institutes now offer a master in organizational psychology. The coursework that these programs offer may essentially be the same as that offered by campus based programs. Online programs offer additional benefits. They provide a flexible learning environment to those with busy schedules. Also, they are much less costly as compared to traditional programs. Q:What do the organizational psychology master programs teach and how much do organizational psychologists earn? A:The masters programs in organizational psychology cover courses such as physiology, counseling, biopsychology, behavioral management, consumer research, resource management, and workplace safety. These programs also teach psychometric analysis. Those in organizational psychology field earn competitive wages. According to O*NET Online, the median annual wage of organizational psychologists was $83,580 in 2012. Q:I am looking for a master's degree organizational psychology. Can you tell me about career paths that I can take after completing the degree? A:With a master's degree in organizational psychology, you can provide consultancy services to organizations. You may choose to become an organizational trainer or join the human resource department of a firm. If you are interested in an academic career, you may acquire further education and go into research. With the degree, you may join lectureship as well.